This entry was posted on June 2, 2012 by Russell Smith. 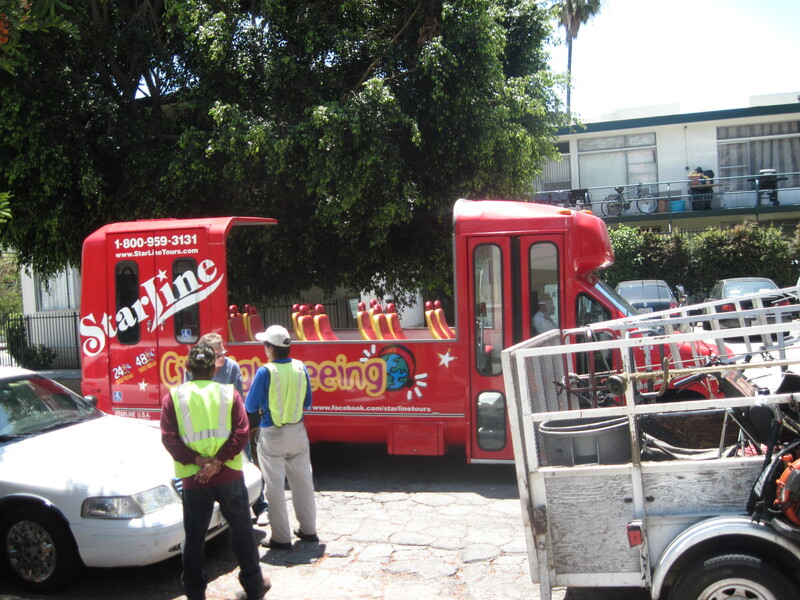 It was filed under Street, Urban and was tagged with bus, Hollywood, Russell Smith, Starline tours, street workers. Makes me think of that Hawaiian Airlines plane that lost its roof. I bet the tourist get fried on their open air tour! Baked by that California sunshine! I know! Some people don’t mind being fried. The UV level for LA is usually “extreme” according to the Nat’l Weather Service. LOL Love you! I hear ya…. I was wondering what happened to the rest of the bus?